Dr. Pervez Mussarat Jr, MD is a Doctor primarily located in Hammond, LA. His specialties include Sleep Medicine and Neurology. He speaks English. The overall average patient rating of Dr. Pervez Mussarat Jr is Good. Dr. Pervez Mussarat Jr has been rated by 19 patients. From those 19 patients 2 of those left a comment along with their rating. The overall rating for Dr. Pervez Mussarat Jr is 3.1 of 5.0 stars. A sleep medicine specialist is specially trained in diagnosing and treating disorders involving sleep. Sleep disorders such as sleep apnea, restless leg syndrome and insomnia are very common and can often cause other serious health issues, such as depression, asthma, and migraines. Sleep medicine specialists often work in sleep centers where they observe a patient while sleeping and monitor brain waves, behavior, and vital signs in order to identify the causes of sleep disturbance, or an inability to sleep (insomnia). Sleep medicine specialists treat patients through advising on sleep hygiene, providing cognitive behavioral therapy, using light therapy, or medical sleep aides. Dr. Mussarat is professional, courteous, and empathetic. I highly recommend him as a physician. 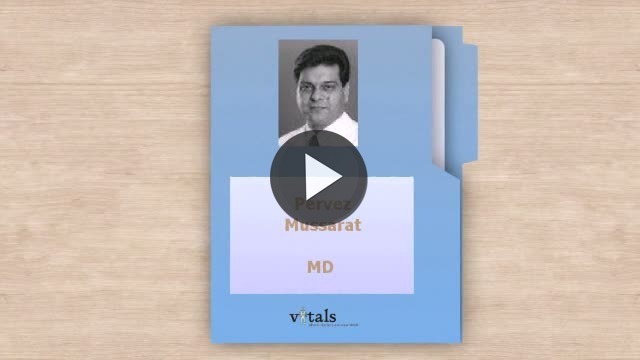 Take a minute to learn about Dr. Pervez Mussarat Jr, MD - Neurology in Hammond, LA, in this video. Dr. Pervez Mussarat Jr is similar to the following 4 Doctors near Hammond, LA. Have you had a recent visit with Dr. Pervez Mussarat Jr? Select a star to let us know how it was.